that encompasses art, literature, photography, science, history, and perfume. How is our sense of smell connected with our mind and body? 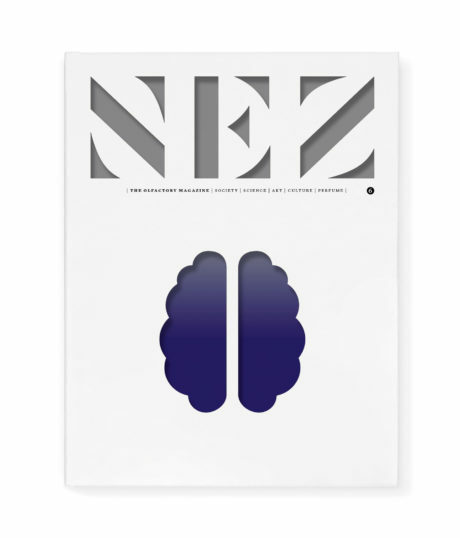 The sixth edition of Nez looks at perfume’s therapeutic and spiritual roles, and explores the influence of odours in our daily lives on our health, our mood and our emotions. Literature and perfume, an age-old love story. to the world of olfaction. Everything you always wanted to know about smell but were afraid to ask. Invisible yet undeniable, smells feature in all creative fields. Exploring the world of perfume through its origins, its trade secrets, its history and its professionals. Examining the relationship between our nose, our body and our mind through the prism of history, health, research, religion and psychoanalysis. — The debate about aromatherapy can essential oils really be dangerous? — Scents with superpowers how do perfumers influence our emotions? of the perfume industry, and also appraises the 30 new fragrances making the news.